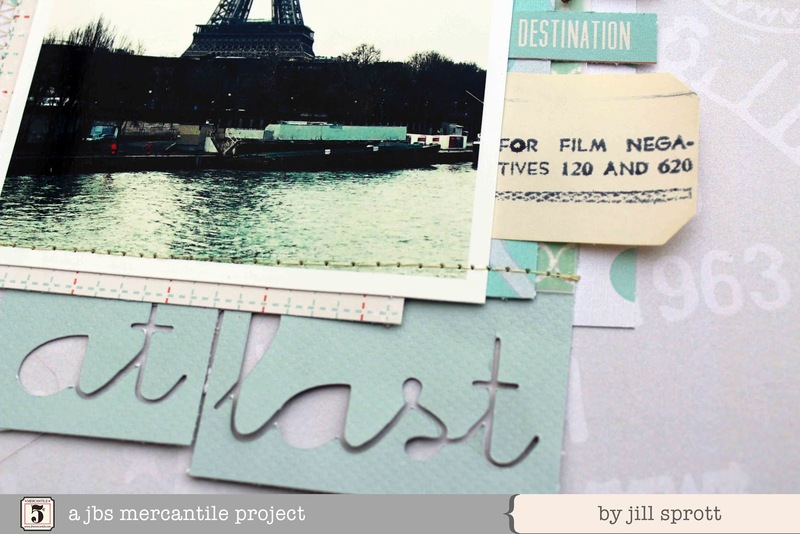 This month's Jenni Bowlin Mercantile papercrafting kit features exclusive papers designed by the wonderfully talented Lisa Dickinson. 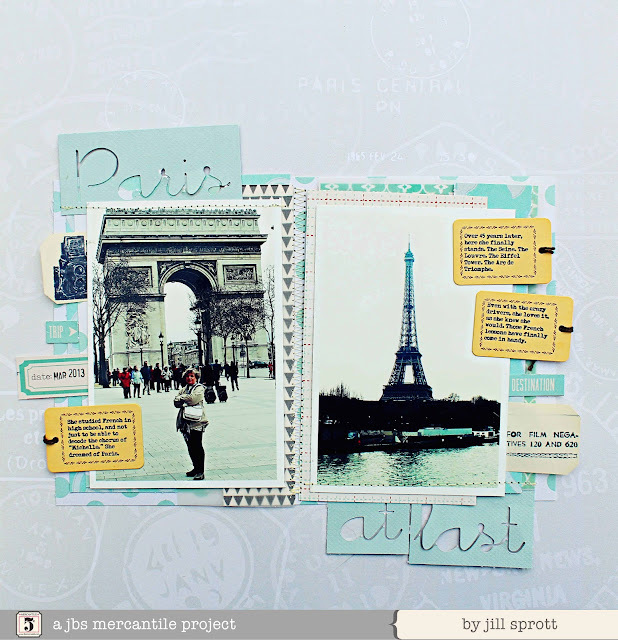 I used these beauties, along with other items from the May papercrafting kit, on a layout that documents my mother's long-awaited trip to Paris. 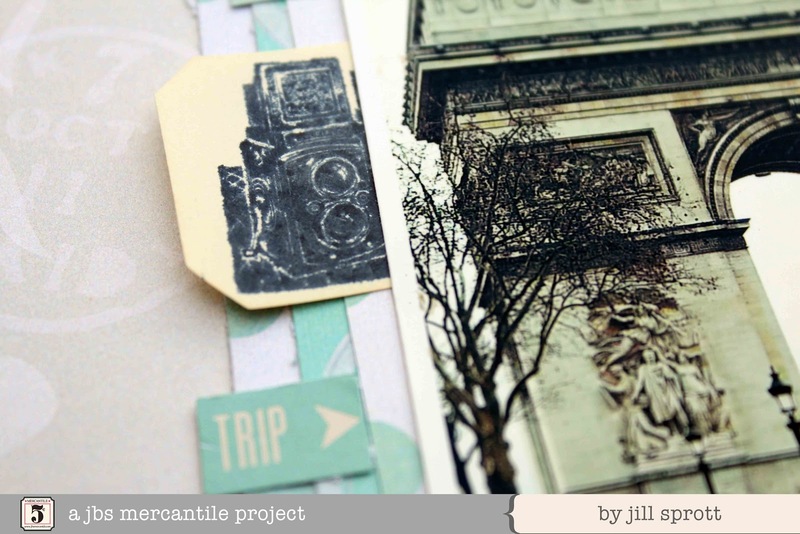 One of the exclusive papers is printed with postmarks from Paris, and serves as the background for the layout. 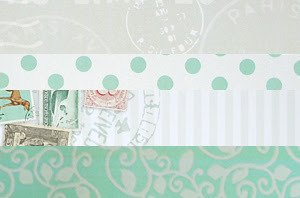 I worked in the aqua floral and polka dot exclusive papers as well, mixing them with other patterns from the kit. To temper the boldness of some of the patterns, I added vellum over the papers. I also fell in love with another kit exclusive: a unique camera stamp. Holding the ink pad at an angle, bringing it to the stamp rather than the other way around, I inked sections of the stamp rather than the entire stamp, and stamped specific parts of the image on the labels above. I adore how you used the stamp!